Marc Waelti studied materials science at ETH Zurich, Switzerland. In 1995, he joined Siemens Building Technologies in Volketswil (Switzerland) while working towards his doctorate in the Institute for Quantum Electronics at ETH Zurich. This was followed by management positions in the development of microsystems at Corning IntelliSense in Wilmington (USA) and Phonak Hearing Systems in Stäfa (Switzerland). In 2004, he moved into production, first as Director Corporate Manufacturing Engineering at Phonak, then as Vice President Operations at Sensirion AG (Switzerland). 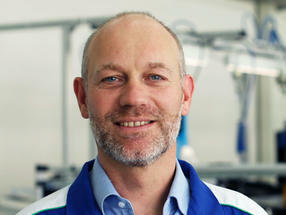 From 2011 he has been Head of Operations Laboratory Weighing at Mettler-Toledo in Greifensee (Switzerland), where he oversees the production of lab balances, mass comparators and moisture analyzers. He is particularly interested in the achievement of operational excellence, to which he applies his wide-ranging industry experience gained in building safety/security, telecommunications, medical devices, microsensors, automotive and precision instruments, combined with his expertise in Lean Six Sigma and SCOR.